CARFAX One-Owner. Maximum Steel Metallic Clearcoat 2015 Ram 1500 Express Quad Cab 4x4!!! 4WD Automatic HEMI 5.7L V8 Multi Displacement VVT 2015 Ram 1500 Express in Maximum Steel Metallic Clearcoat, Bluetooth for Phone and Audio Streaming, CLEAN CARFAX, ONE OWNER, Rear Back Up Camera, HEMI 5.7L V8 Multi Displacement VVT, 4WD, 1-Year SIRIUSXM Radio Service, 20`` x 9`` Chrome Clad Aluminum Wheels, 40/20/40 Split Bench Seat, 5.0`` Touchscreen Display, ABS brakes, Add Spray In Bedliner, Air Conditioning, Anti-Spin Differential Rear Axle, Body Color Front Fascia, Body Color Grille, Body Color Rear Bumper w/Step Pads, Carpet Floor Covering, Charge Only Remote USB Port, Cloth 40/20/40 Bench Seat, Dual Rear Exhaust w/Bright Tips, Electronic Stability Control, Fog Lamps, For More Info, Call 800-643-2112, Front & Rear Floor Mats, Front Armrest w/Three Cupholders, GPS Antenna Input, Heated door mirrors, Integrated Voice Command w/Bluetooth, Low tire pressure warning, Media Hub (USB, AUX), No Satellite Coverage w/AK/HI, Overhead Console, ParkView Rear Back-Up Camera, Popular Equipment Group, Quick Order Package 26C Express, Radio: Uconnect 5.0 AM/FM/BT, Ram 1500 Express, Rear Folding Seat, Rear View Auto Dim Mirror w/Display, Rear View Mirror w/Microphone, Remote Keyless Entry w/All-Secure, SIRIUSXM Satellite Radio, Temperature & Compass Gauge, Traction control. 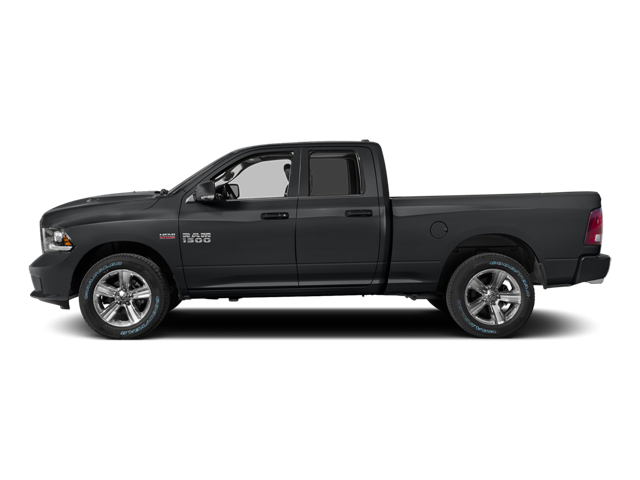 Hello, I would like more information about the 2015 Ram 1500, stock# P4956. Hello, I would like to see more pictures of the 2015 Ram 1500, stock# P4956.